Writing herbal prescriptions in the Herbascript™ system gives practitioners a variety of ways to design their formulas by choosing to write scripts by day, by bag, or by total amount needed. Whether you are a granule or bulk dominant prescriber, thinking about how you set up your presceiptions makes it easier for patients to understand how much herb they are taking and in the case of bulk herbs, how to best cook them to get the greatest potency and effect. Take this amount of herb per day for 5 days. Herbascript™ will also ask you to set the number of bags you want these herbs divided into and most people default to setting the number of bags as the same number as the total number of days. In the above example, 5 bags for 5 days, one bag per day. Simple enough. However, one of the big struggles we have with patients cooking herbs at home is the overall compliance with cooking instructions that can feel overly burdensome. Many patients complain about the amount of work it takes to prepare their herbs - doing a double boil of a bag of herbs every day. And in fact, if we are sending them home with one bag of herbs per day for five days, we have told them in so many words to cook herbs everyday. But in reality, those patients could cook all five days of herbs at once and store the finished decoction in the fridge, reheating them as needed. Cooked herbs are like any other food item with a 5-7 day shelf life in a fridge between 32 and 40 degrees Fahrenheit. So even if you have a bulk prescription that is for 7 days or 10 days, you could set the total number of bags at 2 or 3, and we will bundle up the herbs accordingly, taking some of the burden off of patients to cook their herbs daily. 4.) Write your formula as usual and Herbascript™ will do the math and tell us (the pharmacy) how to pack up the herbs. Being intentional about your days to bags ratio will help your patients brew their decoctions more efficiently, help build confidence in their ability to make their own medicine, and help to reduce packaging waste for everyone. The opinions on how bulk herbs “should” be cooked are as numerous as the best pound cake recipes from everyone’s favorite grandma. While I was in school, I asked every teacher I had about the best way to cook herbs and as many of you might expect, the answer was almost always some version of “it depends...” I experimented with nearly every method I was exposed to: from short cooking with soaking to long stewing with no soaking to crushing and boiling to powdering and steeping. Drawing on my experience as a professional cook, I even tested cooking roots and minerals first then adding sticks and fruits and finishing with leaves and flowers in an effort to layer the flavors and deepen the extraction without damaging more delicate components. To say the least, the possibilities are endless and the best cooking method will depend on the exact ingredients in any formula. Obviously such specificity can create confusion and headaches for well-meaning patients. At Root & Branch we developed a standard double-boil cooking method that is available as a cooking instruction template in the HerbaScript system. We designed this method in an effort to make the cooking process easier for patients while also setting them up for optimal extraction. If you have your own instructions, you can add your own template into your practitioner interface by typing your instructions in the cooking settings section. Sometimes the formatting for those automatic instructions aren’t the most aesthetic, so we can always include a handier looking set of cook instructions with your patient’s herb orders. Just let us know how we can best serve you. 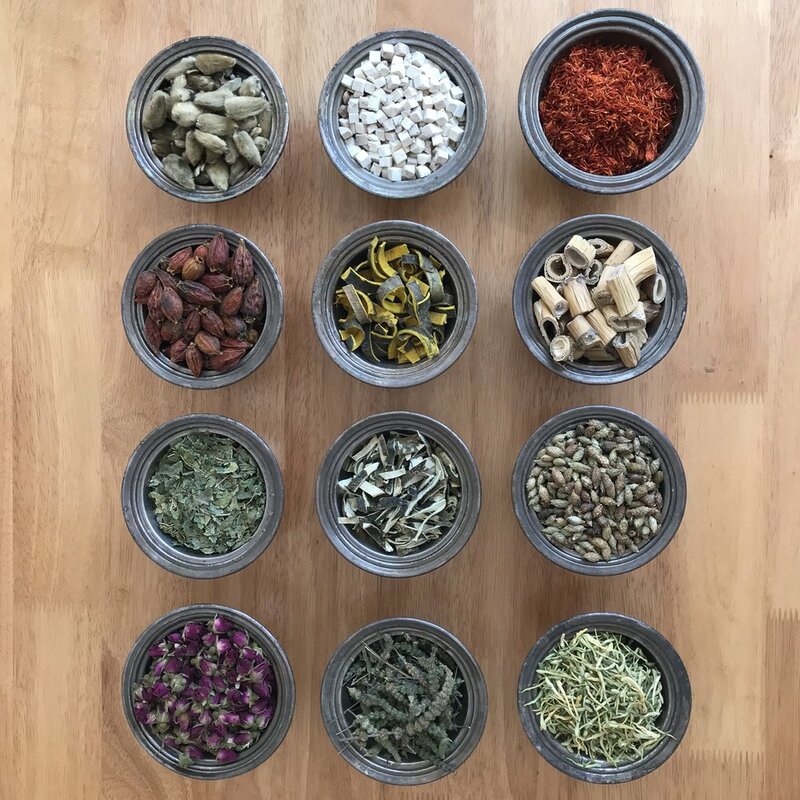 Lastly, if your patients are Portland locals and can pick up their herbs from our Multnomah Village location, we can always decoct those herbs for your patients using all the specialized cooking I developed over these past few years. We want your patients to have the best herb experience they can and to get the best clinical results possible.